Welcome to the world of "Suti"
India today is emerging as the largest global market. This is great news for all those who are ready to grasp this opportunity and become a leader. This is high time we realize the importance of the time running out and the competitions getting tougher. "Suti" – The only brand in India for women's ethnic and casual wear offers such opportunity to grow, to earn a satisfactory living and save sufficient for future. "Suti" from the house of Wings Lifestyle is the only Indian brand that gives a trust to all those who are and in future may associate with it. "Suti" has come forward with its unique concept to offer its Brand Franchise all over India. As a manufacturer we are a strong pillar who supports the franchise to grow strenuously. "Suti" has a stanch motto to give quality-- unmatched, trust-- everlasting and growth & progress -- superlative degree. The concept of Franchise in PAN India is unique in itself as this is for the first time ever that such offer is coming directly from the house of manufacturers itself. We are self dependent and stable enough to tackle with all the requirements of the franchise and the customer. We are open for any support anytime. As a franchise you become a member of "Suti" family. You represent "Suti" in your area to the local society hence it becomes your implacable duty to maintain dignity and respect in its original stature and take it up to newer heights. From designing, dyeing, printing, embroidery, stitching, ﬁnishing, washing, packaging, dispatching, marketing, sales; we do it all with grace, honesty and grit. It is our prerogative to make you one with your inner beauty and to do that we ensure core quality and for that we do not outsource, so as to see everything happening in close supervision. The source of fabric is exclusive to us and makes it for our exact speciﬁcation. "SUTI" doesn't mean just cotton but also deals in other fabrics like woolen, Georgette, chiffon, Dobby, Jacquard etc. From Formal, Casual, Club and Party wear we create complete solutions for woman's clothing, for her every mood. Our western and ethnic garments have the grace to make a woman look ageless and timeless. Wings Lifestyles is a manufacturer and wholesaler for women's wear since past 15 years. Quality stands amongst first priorities. We use the best quality cotton for our garments. we just do not compromise with the quality, whatever be the cost. 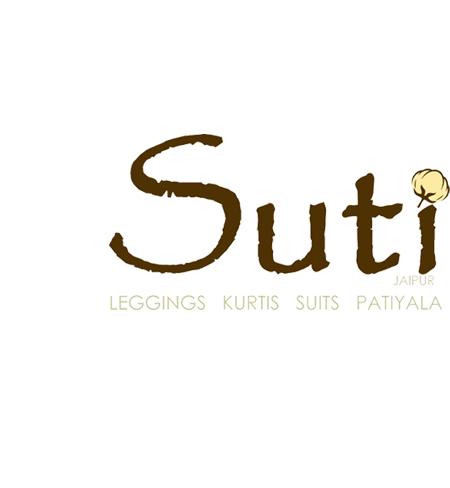 "Suti" is the only brand in India for women's wear with own in house manufacturing unit. Since past 15 years we have maintained a dedicated team who carefully observes every minute detail in the manufacture of best quality product. Copyright © 2017 - Wings (India) Fashions Pvt. Ltd. All Rights Reserved.